Are you hoping to discover one of Washington Island’s hidden treasures during your trip to Door County, WI? We have a striking attraction to add to your itinerary! The intricate architecture of the Washington Island Stavkirke will transport you back in time to Medieval Norway. This homage to the region’s immigrant influence is an attraction you need to see to believe. Get ready to explore Washington Island! 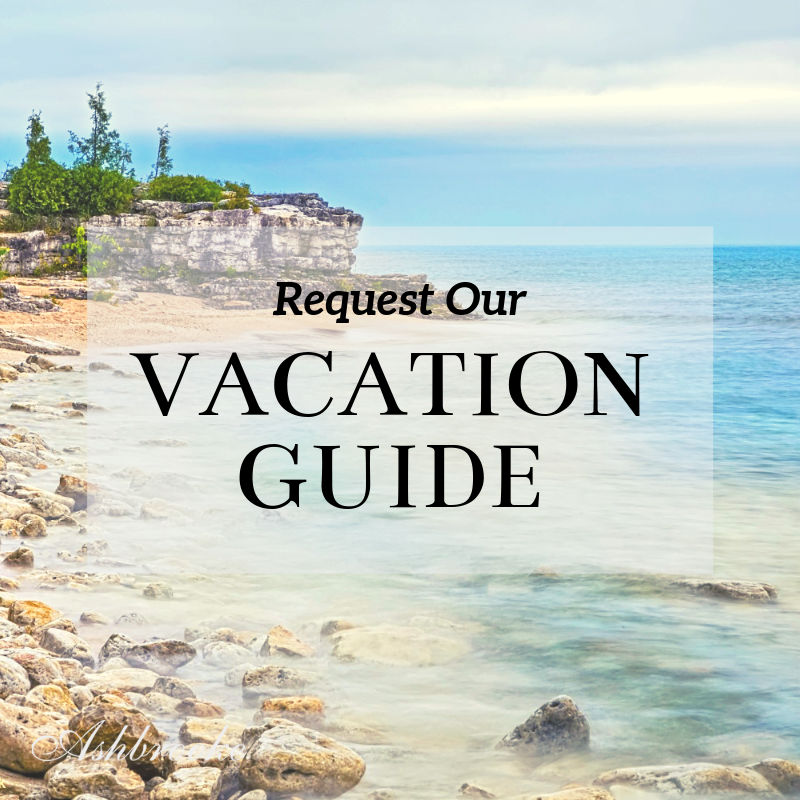 Download our free Vacation Guide today for a complete list of the best things to do in Door County. Norwegian for “church of staves,” the stavkirke is a medieval, wooden, Christian church building once popular in Europe. While there were over 1,000 stave churches in Norway during the Middle Ages, now only 28 remain. These meticulously constructed churches are known for their detailed wooden designs, both inside and out. Today, the Washington Island Stavkirke is one of a dozen in the United States. The local Trinity Evangelical Lutheran Church built the stave church on Washington Island in 1991. The multi-gabled church honors the state’s Scandinavian heritage and is one of the island’s most obscure attractions. The Washington Island Stavkirke was modeled after the Borgund Stave Church in Norway, and its construction took eight years to complete. The compelling, fairytale-like architecture is a draw for locals and tourists alike. Can you think of a more enchanting place to get married than a Gothic church, surrounded by natural beauty? This intimate forest setting is perfect for small weddings, as the stave church only holds up to 38 people. Wedding ceremonies at the Stavkirke are performed by the Pastor of the Trinity Evangelical Lutheran Church and are available upon request. After the ceremony, eliminate the hassle of long-haul flights and spend your romantic honeymoon in Door County! Washington Island is an excellent day trip from Door County! To visit the 35-square mile island, hop on the Washington Island Ferry Line and enjoy the scenic ride across Lake Michigan. When you arrive on the island, you’ll want to follow the bike route from the ferry port and along the main road. You’ll find the Stavkirke tucked away in the peaceful wilderness. Continue your tour of the island with a trip to Percy Johnson County Park or the Art & Nature Center. The stunning scenery alone makes the isle well worth a visit! After a day of marveling at the Washington Island Stavkirke’s grand design, come back to your room at the Ashbrooke for an evening of relaxation. 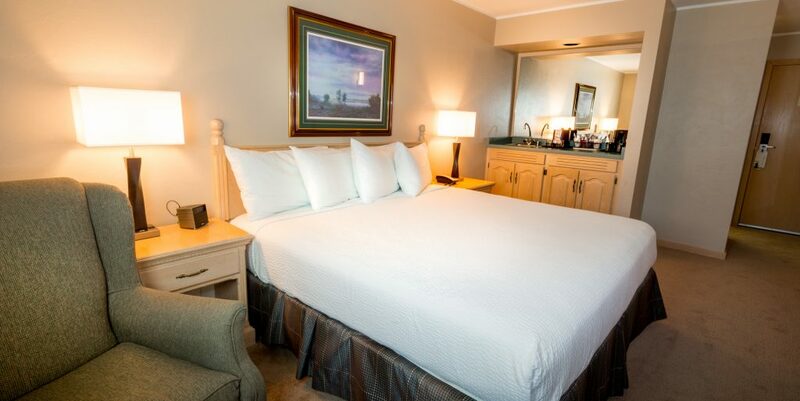 Our Brighton Rooms feature a king bed, 42″ TV with HBO, and a wet bar. The Ashbrooke is the perfect setting for your next romantic getaway. Our guests have access to deluxe amenities such as a lovely outdoor sundeck, whirlpool, and fitness room. We look forward to hosting you soon!